Prioritization is key. I have incredible opportunities to do things that I have great interest in, like sitting on boards and mentoring other entrepreneurs. I always ask myself if I want to do those things at the expense of spending time with my kids or working with my Cvent family. If the answer is no, it’s important to decline. We are all strapped for time, so people are more understanding than you might think. I had the pleasure of interviewing Reggie Aggarwal, CEO and Founder of Cvent, the leader in meetings, events and hospitality software. A lawyer by trade, Reggie founded Cvent in 1999 as a two-person startup, with the goal of making meeting planning easier for his peers in the business community. 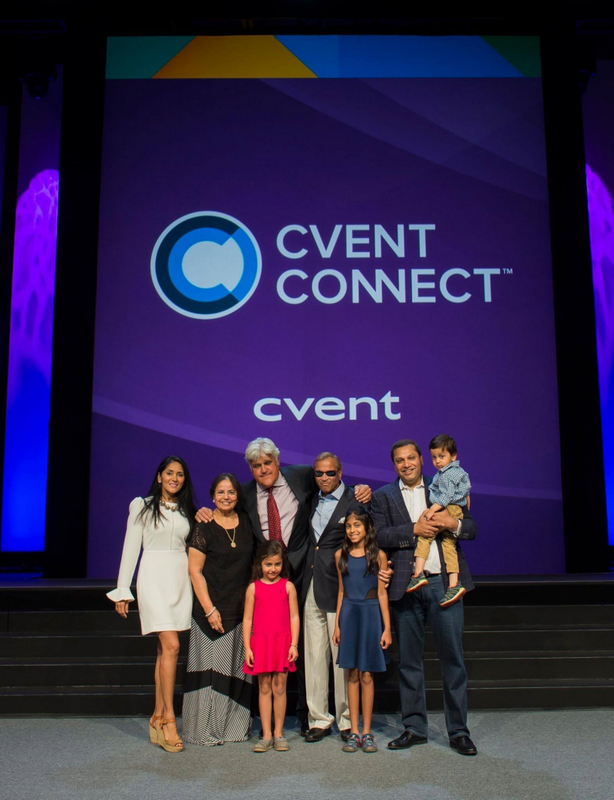 Driven by the desire to transform the meetings and events industry, Cvent has grown to over 3,500 employees on 4 continents under Reggie’s leadership, and the 2013 IPO boasted a market capitalization of more than $1 billion. Reggie graduated with a BS degree from the University of Virginia, a Juris Doctorate from Washington and Lee University Law School, and an LLM (post-law degree) from Georgetown University Law School. He has also received an Honorary Doctorate from Southeastern University for his contribution to the community. 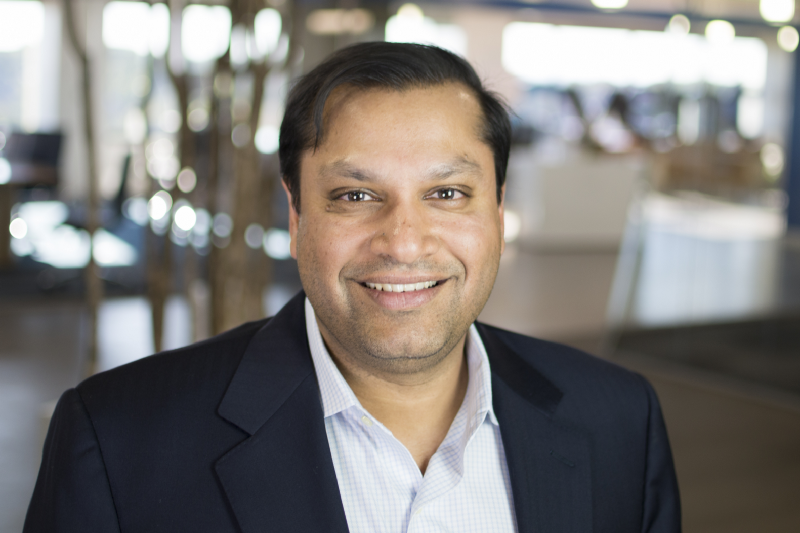 Reggie has received numerous recognitions and accolades, including the #1 Top SaaS CEO, Most Admired CEO by the Washington Business Journal, Entrepreneur of the Year by Ernst & Young, a rising star by Forbes Magazine, and a Tech Titan by The Washingtonian. Reggie lives in Northern Virginia with his wife and three children. Like many entrepreneurs, my story has some significant ups and downs. I was a corporate lawyer during the day, while by day and by night, I was running a technology non-profit that I’d created primarily for networking purposes. As the president of the non-profit, I was responsible for planning and managing our events which in the late 1990s was a very manual, time-consuming process. The pain point was obvious to me, so I set out to create the Aspirin. In 1999 the dotcom boom was in full swing and I left my day job as a lawyer to focus on building Cvent. We had a good idea, but it was a crowded market fueled by easy venture funding. Soon after we raised $17 million, the bubble burst and 9/11 happened. The meetings and events industry plummeted and so did our start-up company. This is where family and my professional life first merged. My family supported me, invested in my start-up and continued to do so even in the darkest days. My father cashed out his 401K to help fund my dream — because he believed in me and the business. As a team, we decided to finance our future on revenue from customers rather than venture capital. After a decade of buckling down, working hard, focusing on the basics and on servicing our customers, we raised our second round of venture capital. We later went public and more recently went private in 2016 when Vista Equity Partners acquired us for $1.65B. I have breakfast with my family every day. It’s important to me because I hardly get home on time to have dinner with them. I structure my meetings in a way that allows me to come in to the office a bit later so I can dedicate my morning to help our kids get ready for school and have coffee with my wife. When I get to work, I spend the majority of my time meeting with employees and focusing on the operations that will help us grow as a business and support our company culture. I have always believed in maximizing facetime with your team because it’s my personal feeling that it is easy to get good customers, but it is not easy to hire great people. Coming from an incredibly tight-knit family myself, I know what it has meant to my own development. I credit so many of my successes to the support of my family. Kids need to have that strong family foundation — to have family members that encourage them to try new things, step out of their comfort zone and strive for the impossible. Without that support, children are left to fend for themselves or follow others by their example. And while there are success stories, for many children, continuing down those paths can mean a less fulfilling future. Children learn so much from their parents. Even from a young age, when they are days, weeks, and months old, they are taking note of their surroundings. I have a couple early childhood memories that have stuck with me that made a major impact on me. I recently lost my father and I never expected the emotional toll it would take. I was incredibly close to him and his passing was the first family loss I’d experienced in my adult life. At our annual company-wide event in February, my memories of him fueled a key message I delivered to our employees around the world: to live generously and give without the expectation of receiving anything in return. It was from those early childhood memories that I learned that lesson from him. When I became a father, it was so important to me to find the time to spend with my kids — no matter what it took. From a very early age, my kids joined me at our company-wide events, they were part of nearly every trip to our annual user conference, Cvent CONNECT, they have traveled with me to India, and to our offices all around the world. Through these experiences, we’ve grown closer as a family and my children have learned about what it means to be part of a global business and have learned valuable cultural lessons. In short, you can’t control nature, but you have a 100% control over nurture, especially when it comes to young children. Our family time may be different than many, but it works for us. I completely agree with quality over quantity. If my kids are engrossed in a Disney movie, there’s no way I can compete, and sometimes I just have to accept that. As I mentioned, I have breakfast with my family almost every day because I tend to be most productive in the evening at the office. This routine means they expect to interact with me in the morning which makes it natural and more engaging. And this consistency applies to the office — my schedule is well known, and that predictability helps the business run efficiently. Beyond breakfast every day, I also work hard to have one day per week dedicated to family time. This is time spent doing activities with my kids like watching a movie or going to a park. Kids can learn a lot from observing their parents outside of direct interaction so this one day a week is a time for me to be present in their lives without interruption. Stepping back from the day-to-day, as Cvent has expanded globally, my travel schedule requires significant time abroad and I’ve made a point of bringing my family with me on my business trips, whether for a couple of days or a couple of weeks. My wife and three children all joined me this past year in Las Vegas at our annual user conference, Cvent CONNECT, as they have for many years previously. I used to take them each year to India for a month. But that was before we had our son, making us a family of five. For some reason traveling with five is so much more difficult. Nowadays, if they cannot join me for the whole trip, we will add on a long weekend for all of us to be together. This year before I flew to India, we enjoyed a family ski trip. Travelling has given us many great family memories, offers valuable life and cultural lessons, and has been a really important way for me to spend quality time with my kids. As an entrepreneur and founder of a global company, I am required to be “on” more often than some, so I find that blending work and family can actually offer more opportunities for family time. Cvent is almost like a step-sibling for my kids. I involve them in major moments for the company, because they are also important moments for our family. For example, they attend nearly every company-wide event. 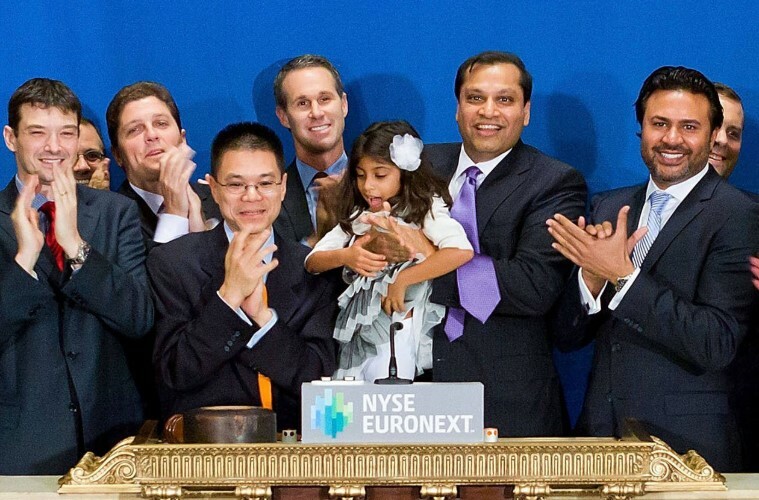 When Cvent listed on the New York Stock Exchange in our 2013 IPO, I had my kids and wife on the balcony to ring the bell. My parents and siblings were in the audience. It was such an exciting and powerful point in time, and I can’t imagine not having shared it with all of them. I have also been known to bring my eldest daughter to certain meetings I have with my executive team. I think it’s incredibly important for her to be exposed to a business setting early on so when she is ready to enter the workforce, she will feel that much more confident because she knows what to expect. Establish a routine built for quality time. A consistent schedule can create a good habit — which is why breakfast is family time — always. Set the expectation with your kids that when you’re with them, you’ll be interactive. As much as you can, put down the phone, engage and enjoy connecting with your children face-to-face. Time goes by too quickly to not take it all in while you can. Ask your kids what they enjoy doing most with you. While you might think they want to go to a museum or play at the local park, they might want to build a pillow fort. Doing what they want not only shows that you value their input, but makes time spent together that much more meaningful. It’s not possible to force quality time. If you’re at the beach and your kids are having fun while you look on from a distance, enjoy that piña colada. We all know you’ve earned it. I believe in all of the basics, obviously: unconditional love, protection, providing engagement and guidance in their lives, setting a good example. I think for any good parent these things are common place. I mentioned earlier that I have taken my daughter to my executive meetings. My hope is that this look into the business world will give her a new perspective and will give her confidence as she grows up. That is the ultimate gift I can give my kids — confidence and an understanding of the corporate world. Having two daughters, the topic of women in leadership is especially meaningful to me, and I want to expand their skillset in the best way I know how — within the walls of Cvent with our thousands of employees — each an entrepreneur in their own right. I feel like my kids are lucky to have more than 3,700 great role models to look up to at Cvent! Dreaming big is important, but I think that advice needs to always be paired with teaching your children about being persistent and working hard. Big dreams and bright ideas don’t create success on their own. On the flip side, hard work can. Cvent is a great example. In the early days of email invitations and event registration, where we got our start, the market was very new, but still competitive. There were a number of players that weren’t especially differentiated chasing the same problem. The prevailing theory on success at the time was whoever could raise the most capital would dominate. Looking at the survivors of that era it’s clear that hard work and persistence proved the real differentiator and path to success. As an entrepreneur, your company is almost like another child, and work-life balance has a different meaning, in that you genuinely enjoy time supporting the growth of the business and your kids, and always feel guilty about not spending enough time with the other. More important than creating some ideal of what success looks like, I think it’s more important to recognize that the business needs will constantly change and the amount of attention it demands from you will change right along with it. It’s so important to map out with your spouse and others family members how to navigate that and make the most of the time you have with them. More entrepreneurship. I love speaking to students in colleges and even high schools and encouraging them to think about this career path. It’s unique in that it can be crafted to fit each individual based on their unique skill set. Entrepreneurs drive our economy by creating jobs and corporate earnings. All of the taxes that those earnings and payrolls create are reinvested into local, state and national well-being. There is nothing more satisfying as an entrepreneur than giving people an opportunity to make a living and climb the economic ladder. In fact, one of our own executives at Cvent recently helped fund their son’s start up business and I could see the pride in their eyes. It nearly brought me to tears as it brought memories of my father flooding back. As a parent, being able to fund your child’s dream, there is little more we could ask for; whether they succeed or fail is immaterial, it’s the fact that they tried, and learned something new along the way. Thank you so much! This was so inspiring!